Peninsula School District kids can find many resources to help with academic, career and life readiness goals through leadership and meeting academic goals. Schoo logy is the District's Learning Management System. Students can use the LMS to access any course materials (slide decks, assignments, handouts, media links) their teachers have posted. 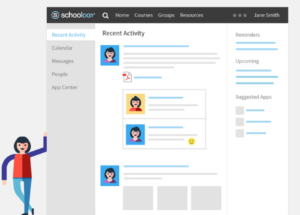 Schoology also provides online discussion boards and a place for students to submit work electronically. 21st Century Skills are embedded in each CTE class. Extended opportunities outside the classroom vary for each pathway. Traditional CTSO’s (Career & Technical Student Organizations) are available in some subject areas, as well as locally developed clubs and events that encourage students to develop a high level of professional development.